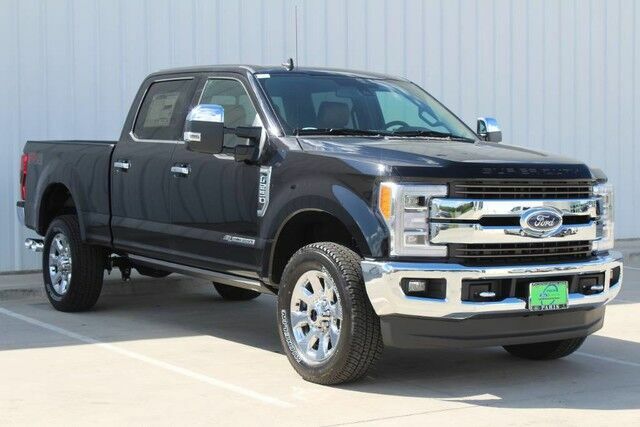 This outstanding example of a 2019 Ford Super Duty F-250 SRW King Ranch is offered by Paris Ford Lincoln Mercury. This Ford includes: AGATE BLACK UPFITTER SWITCHES TOW TECHNOLOGY BUNDLE Lane Departure Warning Back-Up Camera TIRES: LT275/65RX20E OWL Tires - Rear All-Terrain Tires - Front All-Terrain KING RANCH ULTIMATE PACKAGE Fog Lamps Seat-Massage Driver Vanity Mirror Passenger Vanity Mirror Power Retractable Running Boards Daytime Running Lights Power Passenger Seat Generic Sun/Moonroof Power Driver Seat Passenger Illuminated Visor Mirror Sun/Moonroof Blind Spot Monitor Driver Illuminated Vanity Mirror Cross-Traffic Alert Running Boards/Side Steps Dual Moonroof HEATED REAR SEATS Heated Rear Seat(s) *Note - For third party subscriptions or services, please contact the dealer for more information. * There's a level of quality and refinement in this Ford Super Duty F-250 SRW that you won't find in your average vehicle. Take home this Ford Super Duty F-250 SRW King Ranch, and you will have the power of 4WD. It's a great feature when you need to drive over tricky terrain or through inclement weather. Look no further, you have found exactly what you've been looking for.